This page is a collection of photo samples taken with the Sony Cyber-shot DSC-WX1/B 10MP “Exmor R” CMOS Digital Camera, plus review and test photos, related image galleries, user pictures and other examples that I’ve come across in forums, online communities, blogs and related websites. 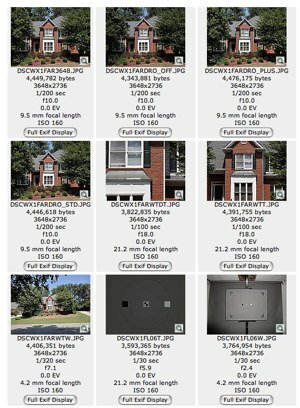 This should help in determining if the image quality of the WX1 meets your expectations. Bear in mind that the majority of these photos are re-sized, and may have gone through post-processing, retouching or other edits. I just thought that it would be interesting to see, at a glance, what Sony DSC-WX1 owners and users are shooting with their camera. Imaging Resource has two sets of WX1 photos. The first is the Sony Cyber-shot DSC-WX1 Test Images where you get a comprehensive set of full-resolution photos testing every aspect of the camera’s imaging performance such as lens sharpness and high-ISO noise performance. 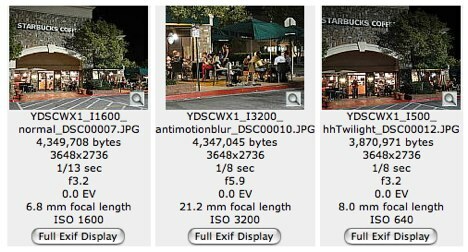 The second set showcases real-world WX1 pictures — check out the ISO 3200 shot at Starbucks.